cheese for dinner | Is there any wine left? Enjoying cheese for dinner is totally underrated. 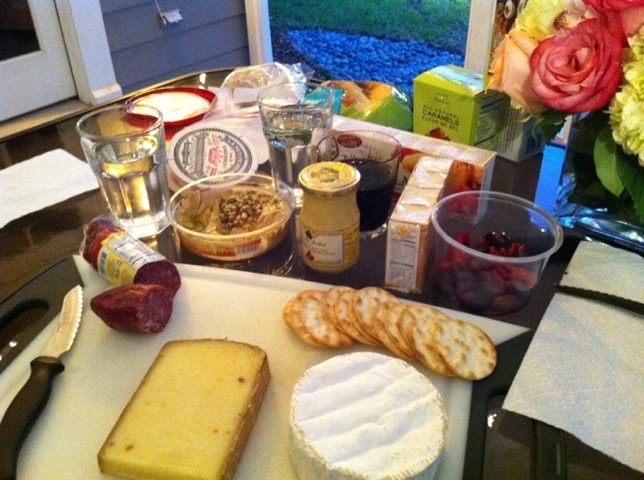 We are having great weather in Houston so tonight Whitney and I are sitting outside with apples, cheese, salami, mustard, hummus and wine. What a perfect night! !